In order to recover successfully, addicts must fulfill two different needs: resources and support. Resources include treatment programs, rehab facilities and detox centers that can aid one in the recovery process and instill in one the lifelong coping skills needed to reintegrate healthily back into daily life. Finding proper resources is the first step after one admits to having an addiction and chooses to get clean. Support entails emotional stability received from loved ones and support groups. Support gives addicts hope and motivates them to stay clean when they reach rough patches in their recovery process. There are two kinds of hotlines you can use during addiction recovery. Here's which one is right for your situation. Sometimes, it’s 1 o’clock in the morning, and you can’t sleep due to intense cravings and fears of relapse. Everyone you normally turn to might be asleep and unavailable. So, who can you reach out to in that moment of crisis? Fortunately, you can actually call many hotlines 24 hours a day, 7 days a week. If you just decided to get sober, or if you have relapsed and wish to undergo treatment, the best type of hotline to call would be a referral hotline to connect you to resources. 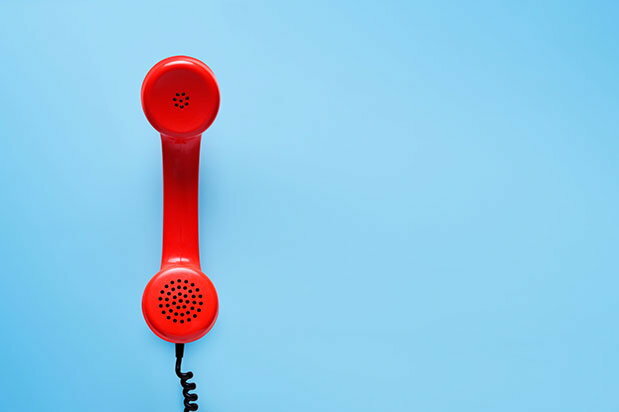 Referral hotlines allow you to speak to a specialist, who can then give you specific information regarding resources in your local area and types of treatment options available. Sober Recovery has its own referral hotline that directs to a rehab center in order to answer any of your immediate questions. You can reach them at 800-772-8219 day or night. You can also visit its online directory of treatment facilities. Other times, you’re not looking for resources but support. You may not need names or numbers but rather to talk with someone who knows what you’re going through and can help you cope with cravings. For addicts, nighttime can be an especially vulnerable time when there aren’t as many people around or sober activities to engage oneself in to keep your mind distracted. When left with an open time to think, our minds can wander to unhealthy places. In such an event, consider reaching out to an emotional-support-centered hotline. There are general crisis hotlines, suicide hotlines, and substance-abuse-specific hotlines. Speaking with someone can get you out of your head and through vulnerable moments. You can find a list of specialized support hotlines here. Remember, relapse is part of recovery and not something to be ashamed of. Getting clean is undoubtedly exhausting and riddled with moments of self-doubt and or fear. The important thing is to have resources available to you at any given time, so you know where to turn to in those moments.